anyone know if the white console c chassis? 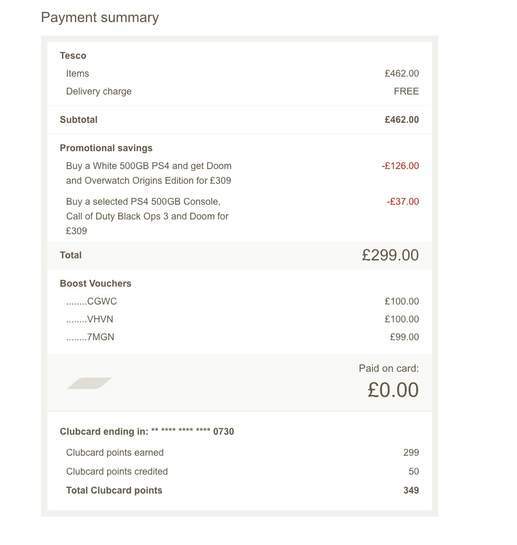 +£25 for overwatch seems like a good deal! Has anyone bought this successfully yet? I would imagine it stops you the minute you try and pay for all that, surely? I would imagine it stops you the minute you try and pay for all that, … I would imagine it stops you the minute you try and pay for all that, surely? When I try now it gives me an option for one of these discounts only. I've tested it out and added the items exactly in order of the posted links above and it works. 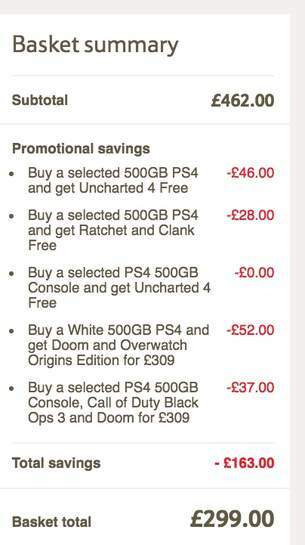 I'd love to buy one but my PS3 is still going strong! Voted hot. There won't be a new ps5 for a long long time if at all.. But there's a new all singing all dancing ps4 due in sept. The difference will be minimal it will just support ultra HD better and am updated processor. This is a steal of a deal though! Can't believe it! Only bought the Argos deal for my son yesterday afternoon. Ahh well. An amazing deal that i'm sure wont hang around for long. I'm not sure I need another one though. Anyone else come here from the WhatsApp update? So what do you guys mean by c-chassis? I doubt a bundle this good will come around for a while. Thanks op. I ordered this for my self. There won't be a new ps5 for a long long time if at all.. But there's a … There won't be a new ps5 for a long long time if at all.. But there's a new all singing all dancing ps4 due in sept. The difference will be minimal it will just support ultra HD better and am updated processor. This is a steal of a deal though! I wouldn't say minimal. The PS4.5 GPU will be twice as powerful and the CPU should get a performance boost too. It will be fully backwards compatible with the current PS4. It just means that the developers will be able to improve graphics and/or frames per second on the new version without altering game play in any way. 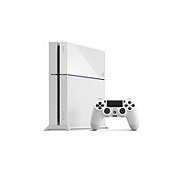 Surely if you were a PS4 fan you would have already picked one up in the past 2.5 years? Both have great games and you're missing out being a fanboy of either. Surely if you were a PS4 fan you would have already picked one up in the … Surely if you were a PS4 fan you would have already picked one up in the past 2.5 years?Both have great games and you're missing out being a fanboy of either. I think its OK to have a preference. For most people they will only buy one or the other. Sorry, we don't have enough Uncharted 4: A Thief’s End PS4 items in stock right now. This item (s) has been added to your save for later basket. You can try to purchase this item again by reducing its quantity. The reviews suggest that this is the c chassis. "Mine had the newer 'CUH-1216A' hardware of the PS4 which is a bit quieter and more efficient on power consumption than older PS4s"
"This newer version has slight differences such as clickable buttons (power and eject), is a bit lighter and a bit quieter. Looks great in white." "I can confirm it is the new 1200 version which is more energy efficient and more quiet than the previous console versions. "